Christmas is simply brimming with colours to delight young eyes. Green trees. Red stockings. Silver tinsel. Rainbow-bright fairy lights. So let’s look and celebrate! Created to make babies laugh and learn, this sturdy board book features lots of bonny babies smiling out, plus festive photos, cute illustrations, and a whole spectrum of glorious colours. 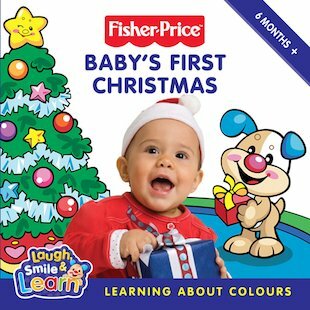 So make the first Christmas a special one with this festive book of colourful treats!